Kim Jong-Il is involved in DPRK politics from a young age. In April, 1964 Kim Jung Il starts working at the Central Committee of the WPK. His initial tasks are to ensure that party members follow the general line set by President Kim Il Sung and to make sure that the WPK's ideology is portrayed in the media, literature and arts in the DPRK. By 1973 he has climbed up the ranks becoming secretary of the Party Central Committee (CPC) and is already referred to as the "Dear Leader” in North Korea. He writes several economics papers and further develops the national line of thought; the Juche philosophy. In this period the leader Kim Jong Il introduces changes to the way politics are practiced in the DPRK and makes office workers work with their subordinates most of the time. Note and Handy Tip: in DPRK it is common for city workers to experience life in rural areas. 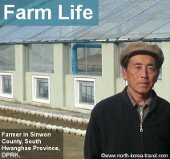 If you decide to visit North Korea you may want to ask your Korean guides about their experiences working in the countryside where they stayed at farmers’ homes and with whom they usually build close ties. 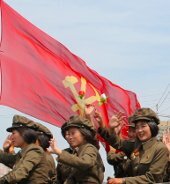 Our group tours are in general small sized and this allows for us to get to know our local guides in North Korea at a more personal level and to be able to listen to these aspects of life in DPRK which are essentially those that differentiate the system in the DPRK to that of most of other countries. 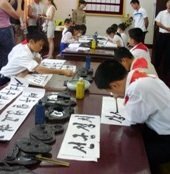 We see this as an invaluable part of the experience of travelling to North Korea; being able to see as much of life in DPRK as possible and not limiting tours to seeing sites but more to seeing how North Koreans live; their expectations in life, views of their country and of the world, what is important in their lives and so on. When briefing you about your trip to DPRK we will stress the importance for us to get along well with our Korean guides. We have known the guides for years now and maintain an excellent relationship with them but cannot help stress how much an insight into their lives really adds to our North Korea trip. 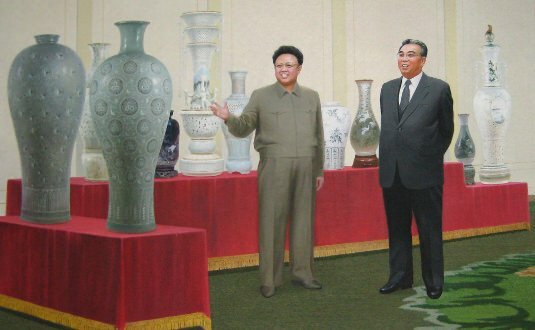 On February 15th 1975 Kim Jong-Il is awarded the title Hero of DPRK. By the end of the decade the Dear Leader has been involved in direct talks with South Korea regarding the reunification of the Korean Peninsula. Please click here for more information on the life of the leader of North Korea Kim Jong-Il or on our North Korea Information section for more general information on the DPRK.